"Build an on-demand medicine ordering the app to provide convenient and inexpensive access to prescription drugs, OTC medicines, healthcare products and more..."
EMedStore is the right place for your pharmacy if you plan to convert it into an online pharmacy. We are experts in Online pharmacy mobile app development and pharmacy e-commerce website development. With an experience of more than 100 Apps developed and successfully running in the market, we have an experience of more than 5 years in the field. We are Pharma IT professionals who are registered Pharmacists and Healthcare IT consultants and we are proud to state that we not only specialize in technology and marketing expertise but also in distribution and retail. So we have the right background and experience to provide a platform to pharmacy owners to sell their prescribed medicines online in a smooth manner. 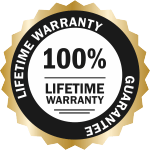 We make sure that the entire transaction process is transparent and you get a great selling experience along with 100% customer satisfaction. We make sure that you sail through the process of selling medicines. We encourage medical store mobile app development because it is the need of the hour. In the era of fast internet and most people opting for data services on their mobile, a pharmacy business app is something that is very necessary to get you the profits. 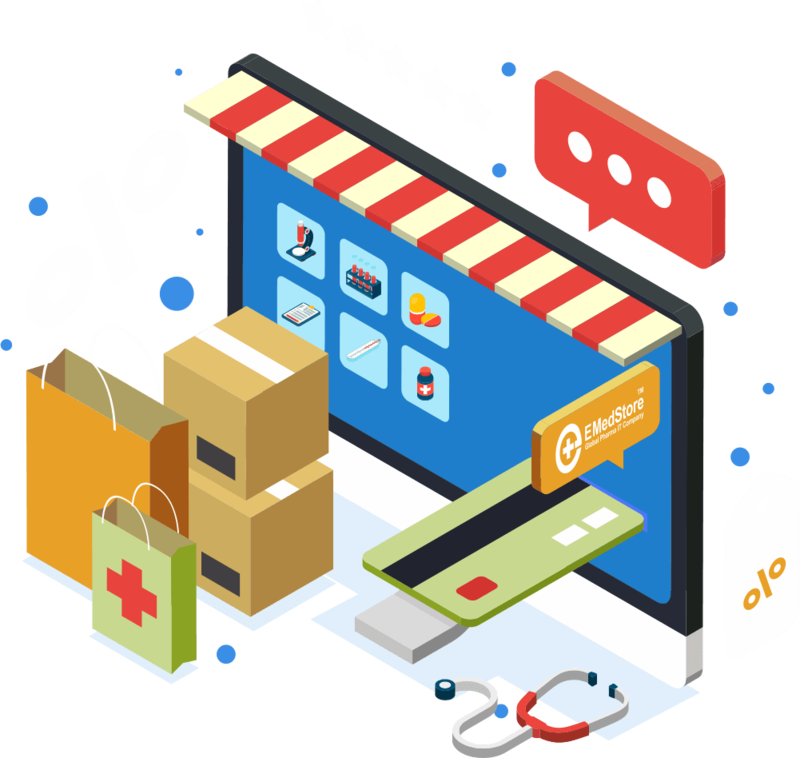 We also assist in medical store e-commerce website development so that your pharmacy is fully functional on the web as well. Moreover, to make your pharmacy readily available on all kinds of mobile phone, we have the facility of pharmacy android app development and pharmacy ios app development. We dont just stop here! We also provide online pharmacy marketing service and online pharmacy sales tips to our clients. We have our credentials to back us up on our expertise regarding all the pharmacy and sales related aspects. So you don't have to worry. Just log in to our website and ask us for a quote. We will revert back with a reasonable quote and a time estimate to build you amazing pharmacy business app. Our mission statement is right summarized as EMedStore stands for bringing the community of pharmacists together and at par with the latest technology. Being one of its kinds IT Pharma company, we are experts in making your pharmacy go on the internet through a fully functioning website and a mobile app. The stark statistics show that at least 70% of the people who use the internet would opt for buying things online by 2019. Therefore, it is a mission of EMedStore to equip all pharmacists with the right kind of tools so that they can be absolutely ready for the next generation of customers. 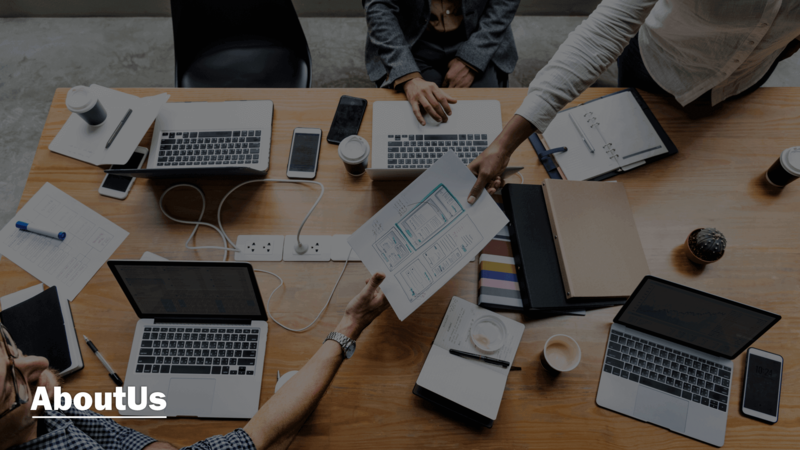 As already stated through our mission statement, our relationship does not end when we make your website live or set up a fully functioning app for you. In reality, that is where our relationship starts and we make sure that we have a long and on-going collaboration with all our clients. We strongly believe that we cannot be successful without being together and complementing each other. Therefore, once you decide to collaborate with us, you can be assured that we will assist you through the entire process. We have developed more than 10 types of online pharma app as per the unique business pattern of each pharmacy shop owners. 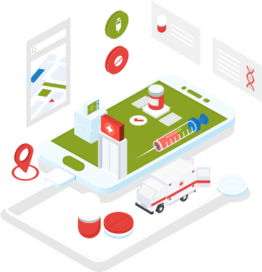 We have high expertise for pharma store app development due to our years of experience to design various pharma platforms and pharma IT business domain knowledge. 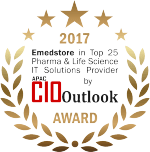 EMedStore is only the company in the world which works for the "ePharma mobile solution" and international governments awards winning pharma app development company. 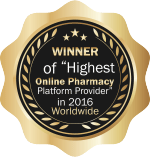 We provide support to existing pharmacists in bringing their pharmacies online and we nurture their aspirations of taking their business from one geographical location to all around the globe. We aim to create a long lasting partnership with pharmacists and provide them constant assistance in making their business really big. We strongly believe in collaboration so we design the product in a way that it is easy to use by a pharmacist without any technical expertise and share information about it across various Online Platforms for Pharmacies. We provide an option of easy sharing of the app so your clients can share it with their networks to spread the word about your e-pharmacy. order to provide you the best service.